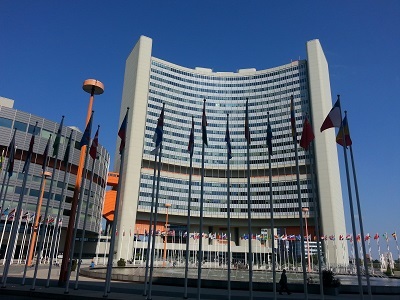 The UN Commission on Crime Prevention and Criminal Justice will convene in Vienna on 22 – 26 May 2017. The UN ‘Crime Commission’ meets annually and is the principal policy-making body of the UN in the field of crime prevention and criminal justice. It is therefore of key relevance to PRI’s mission. The Commission is the preparatory body for and implements many of the recommendations of the Crime Congress – a meeting held every 5 years, most recently in April 2015 in Doha, Qatar. At this year’s Commission, PRI will be hosting various side-events below, and will launch the 3rd edition in the ‘Global Prison Trends‘ series. At this side-event, PRI’s partner, the Kenya Probation and Aftercare Service (KPS), will be presenting lessons and recommendations on gender-sensitive alternatives to imprisonment for women, based on a pilot project implemented by PRI and KPS. This side-event is co-sponsored by the Government of Norway, UNODC HIV/AIDS Section and PRI. At this side-event hosted by the Government of Costa Rica, PRI and IDPC, an expert panel will present good practice examples of drug policies that align with international standards of relevance to the CCPCJ, including proportionality of sentences and the use of non-custodial alternatives in application of the UN Tokyo and Bangkok Rules. Download the flyer. Co-hosted by PRI, the Thailand Institute of Justice and Government of Thailand, this event will launch the annual publication ‘Global Prison Trends 2017’, which describes key global trends in the use and practice of imprisonment. Its Special Focus section is dedicated to ‘Criminal justice and the Sustainable Development Goals’. Ambassador Angell-Hansen of Norway will deliver a keynote speech and panellists are from PRI, TIJ and UNODC. Download the flyer. At this side-event, co-organised by PRI and the OSCE Office for Democratic Institutions and Human Rights, delegates will have the opportunity to learn what tools are available – or forthcoming – to promote and implement the revised Standard Minimum Rules for the Treatment of Prisoners (Nelson Mandela Rules). The panel includes PRI, OSCE/ODIHR and UNODC representatives.